Martha Tilaar Group realizes the importance of quality attainment in all of its products and services line. The achievement of Martha Tilaar Group as a trendsetter cosmetic through Sari Ayu product line for 18 consecutive years proves it right that all Martha Tilaar Group’s products strike the market through its quality assurance. In addition to that, providing a unique (additional) value to customers through its traditional eastern values based and natural products by the use of modern technology support is the main objective of Martha Tilaar Group to succeed locally and globally. All products produced by Martha Tilaar Group have passed a thorough research and are constructed by modern technology equipment. Likewise, all Martha Tilaar Group products follow the international management standards of ISO 9001, ISO 14001, C.P.K.B, and Good Manufacturing Practices. In 1996, PT Martina Berto and one of the group subsidiary companies, PT Tiara Permata Sari received an International Standard Association (ISO) 9001 Certificate from International Accreditation Body (NACCB, U.K) and ANSIRAB (USA) as the first cosmetic company in South East Asia being rewarded the ISO 9001. In 1997, PT Sari Ayu Indonesia received ISO 9002 Certificate; and in 2001 Martha Tilaar Group received ISO 14001 for quality control implementation category. 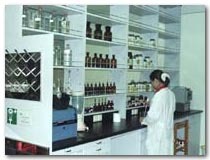 All those ranges of products are designed and developed through a thorough research and development activities performed by proficient specialists of different background of expertise, such as dermatologist, pharmacologist, medical anthropologist, horticultural and biologist. As a result, in 2002 PT Martino Berto received Siddhakretya Technology Award for the most innovative cosmetic and herbal industry category given by the Indonesian President, Ibu Megawati Sukarnoputri, at the Merdeka Presidential Palace.